Founded by Nicola Lindsell and Nicola Keenan, Boxx Creative is a London-based creative design and marketing studio that specialises in hospitality and leisure projects. 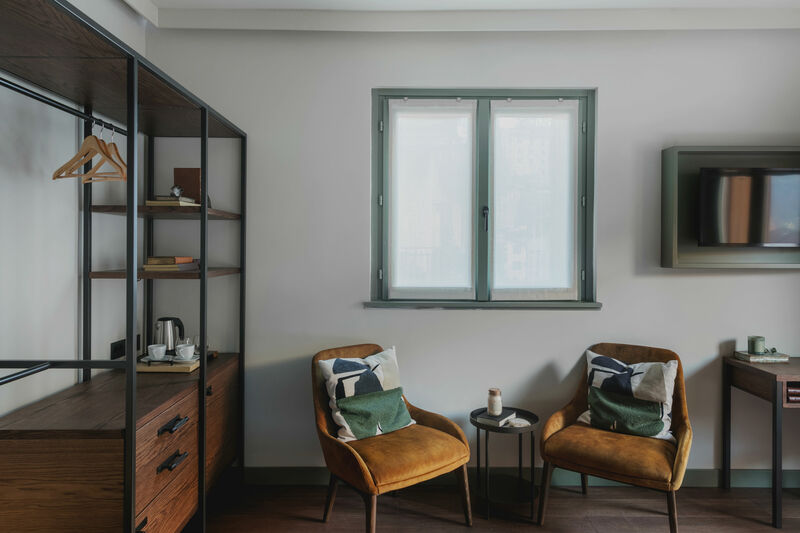 Recently, the studio has revealed its interiors for a family-run boutique, luxury hotel in Italy: Miramonti. The hotel was a state-of-the-art construction when it was originally built in 1958, and Boxx Creative had to keep this heritage in mind when it began the property’s transformation. The team were tasked with maximising the space to increase bedroom numbers and create defined room types for couples and families. For example, Deluxe Double rooms now provide space for couples both inside the rooms and out on the balcony, while spacious Family Suits can connect through to en-suite bunk-bed rooms. Located in Brescia, in Italy, Miramonti – which means ‘mountain view’ – was inspired by natural beauty that surrounds the hotel. Its deep terracotta façade helps evoke the changing seasons. Boxx Creative used this inspiration to create the hotel’s colour schemes, “drawing on the elements of earth, fire, air, water, wood and metal”. 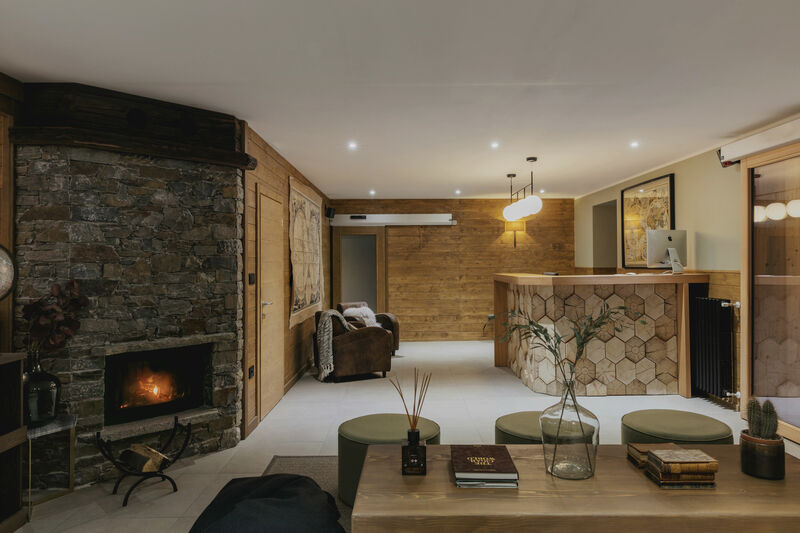 Each floor of Miramonti was redesigned as part of the refurbishment, with materials being selected for their natural qualities. With the touch point of the hotel’s environment firmly in mind, Boxx Creative have created blue and green colour schemes in the guest bedrooms. These balanced, calming palettes are complemented by the reeded glass panelled doors, hand-made wooden flooring and soft natural fabrics that feature throughout the hotel’s rooms. The majority of the furnishings within the hotel were made bespoke by a local artisan. Co-founder Nicola Lindsell adds that lighting was one of the most important factors for the client. 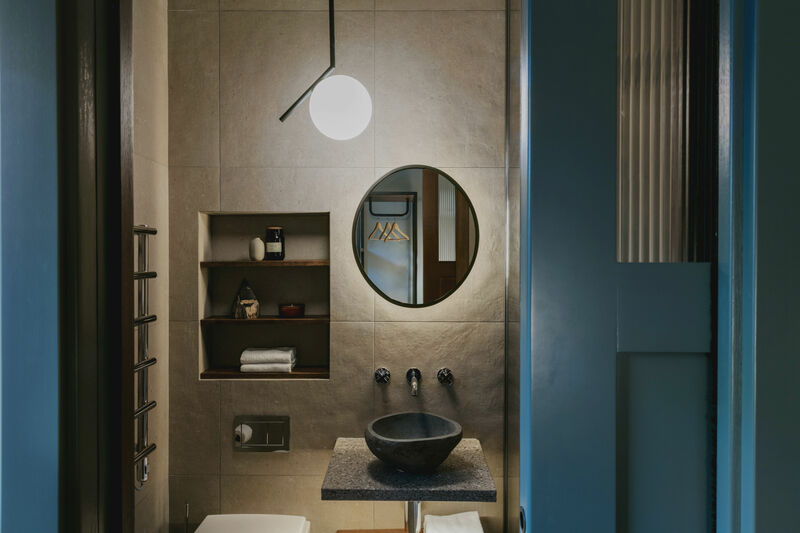 “We chose Italian designed, Flos feature pendants in each of the en-suites and Scandinavian inspired adjustable wall lights to create an appealing focal point in the bedrooms,” Lindsell says.